Thousands of plastic packages are sold daily. Plastic waste is becoming a bigger issue every day, and consumers are becoming more mindful of their plastic use and are looking for recyclable alternatives or buying packaging free produce. "Here at JASA, we deem innovation to be highly important. We listen to the wishes and demands of our customers and keep a close eye on developments in the market," said a representative from the company. "That’s why we’ve developed a revolutionary new technology for our vertical packaging machines: Bag-2-Paper™ It’s 100% paper, without plastic coating, and therefore 100% recyclable. On top of that, the packages can be closed without sealing and are packed incredibly fast on a vertical packaging machine." Traditional paper packages generally have a plastic coating on the inside which makes them unfit to recycle. 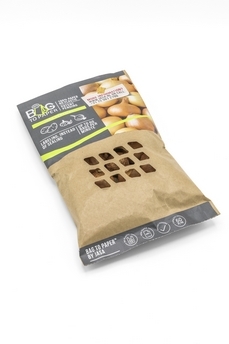 By using the vertical packaging technology the Bag-2-Paper™ machines keep the capacity as it was and because there’s no heat used to seal the packages, the Bag-2-Paper™ machines are energy efficient. That’s not only good news for the environment, but also for energy costs. The new Bag-2-Paper™ vertical packaging machine can be used with three kinds of packaging. Namely: pillow, gusseted, and doy-style bags. 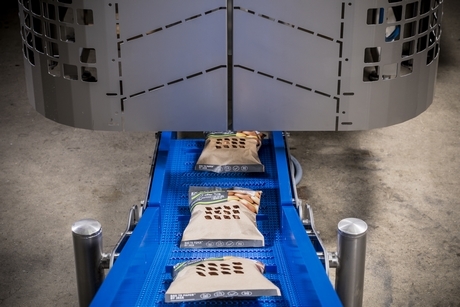 The new Bag-2-Paper™ machine will be launched at Fruit Logistica in Berlin. You can find JASA from 6-8 February 2019 in Hall 9, Stand D-14.